Riksgränsen is in the Northernmost part of Sweden, and is famous for its beautiful scenery, varied skiing and excellent snow conditions. 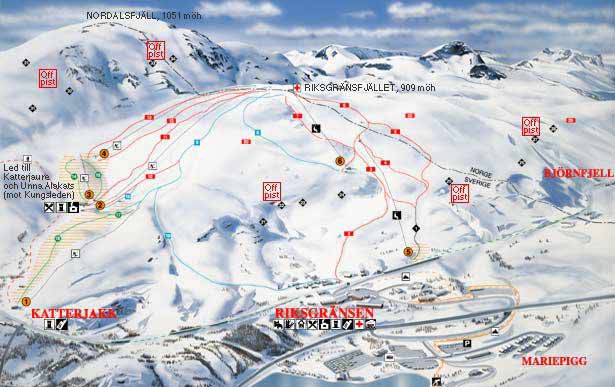 The lifts go all the way up to an altitude of 909 m, and the base station is at 250 m. Riksgränsen is ideal for offpiste skiing, and heli-skiing is offered from April to the end of season. The ski resort opens in February and is open until the end May.